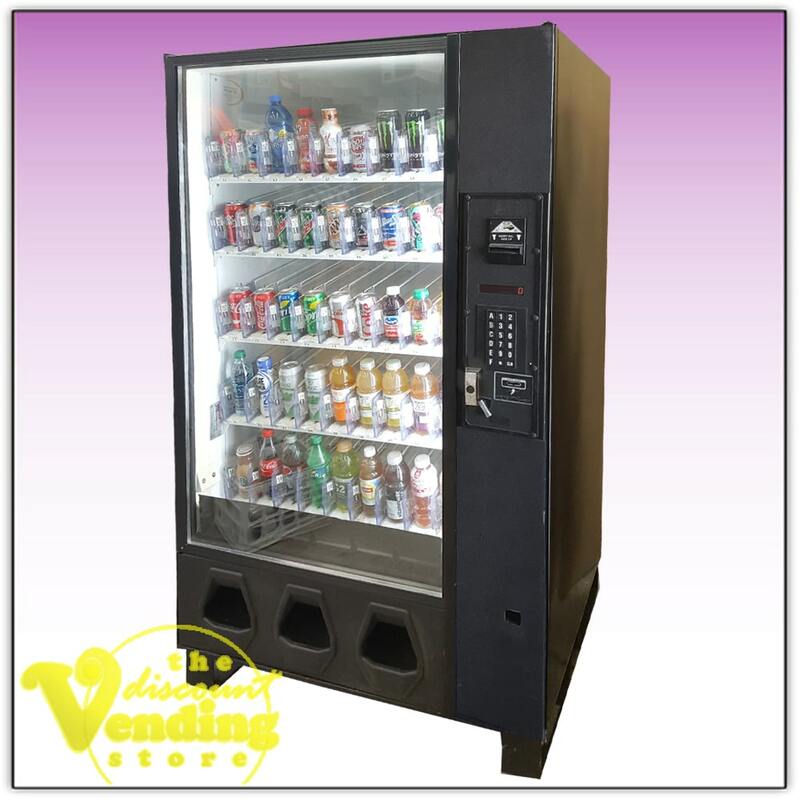 This Dixie-Narco Glassfront Beverage Vending Machine was made by one of the best vending companies in the industry and is a very high quality soda vending machine. 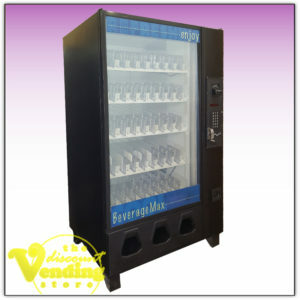 Dixie-Narco is a very popular brand and is well known in the vending industry. The machine contains a double-paned glass front making it a very eye-catching model that would work very well in an office setting. It is not rated for outdoor use. Since you can see your product through the glass, there's no need for product labels or sold-out sensors. It will vend up to 405 total drinks, including 12 oz. cans and bottles of various sizes. The drink machine is a multi-price machine which means all 45 selections can be priced differently. The coin unit will accept nickels, dimes and quarters, and the dollar bill validator will accept $1 bills. We can upgrade it to accept $5 bills as well if needed. This pop machine has been totally refurbished. We have performed a thorough inspection on the machine, testing each of the selection motors, the dollar bill validator, coin unit, and compressor, along with other mechanical items. Everything is in perfect working condition and we have also thoroughly cleaned it. 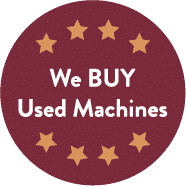 Since it is a refurbished machine, it will have minor scratches or minor dings on it, but overall it is in great shape and should last many years to come. The decals on the front will vary depending on what we have in stock. If you would like pictures to be sent to you before you buy, we can do that. Two sets of keys, as well as the owner's manual, will be included with the machine purchase.